It's Like Having a Cook ! Your Meal is Ready ! 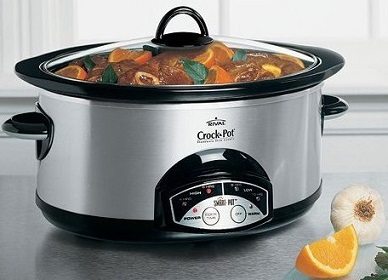 A Crock Pot or slow cooker is really a small kitchen appliance rather than a basic cookware item. But I have chosen to elevate this product to a place of more distinction. For some of today's busy people, I consider a Slow Cooker may be "essential," or at least a huge help. You place your food inside the pot, put the lid on and turn the slow cooker on. Cooking times vary with the recipe and quantity, but it typically takes several hours. Temperatures are low compared to traditional oven use. Just think ...you can start your meal before leaving for work and it's ready by the time you're home! Slow cookers come in all sizes and shapes, from 1.5 quarts to about 6.5 quarts, so you can find the one that works best for your needs. Pictured above is my slow cooker. It is roomy enough to hold a chicken or small roast and the vegetables, too. 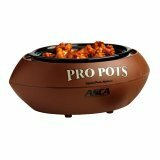 It features four heat settings and a keep-warm setting, an auto-protect safety system, and a rinse-clean, stick resistant coating in the removable stoneware pot. The glass lid lets me view the contents as they cook, so the moisture is retained without the need to lift the lid. For me and many people I know, a slow cooker is perfect for entertaining. 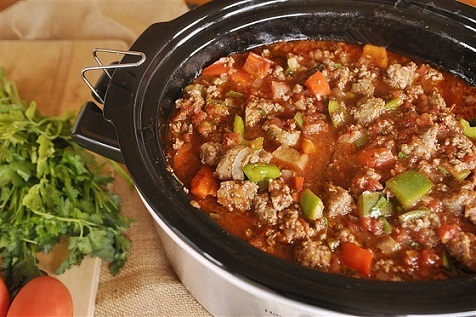 When guests are at my house I have my crock pot full of chili or stew, especially during the winter (and football season! ), and everyone helps themselves as they want. Small crock pots also keep dips and sauces at perfect serving temperatures for hours. My friends and relatives also have slow cookers and they use them to transport their "offerings" to my house. It holds 1.5 quarts, so it's not large, and cooks on low or high only, but it works great! If you are busy, busy, busy ...like me, I highly recommend you purchase a slow cooker if you don't yet have a good one. They are easy to use and fairly inexpensive. A few clicks will take you to sites that allow you to read about every slow cooker on the current market. Good hunting! Thank you for finding the website! It contains hundreds of real restaurant recipes that work as well as information about cooking and cookware. "Cooking with a crock-pot is the best! You can throw a bunch of ingredients in, go back to bed, then when you wake up and invite your friends over to eat, they think you worked really hard instead of sleeping all day."